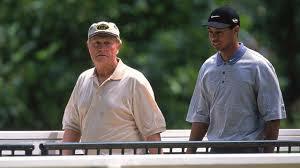 Golf fans everywhere, including Hampton Roads, love Tiger Woods. If, like most of us, you’re bummed out about the recent setback in the return of Tiger Woods — back spasms that forced his withdrawal after one round in Dubai last week and have his future unclear — allow us to take you back to a happier time in Tiger’s career. On this day 17 years ago,Feb. 7, 2000, Woods remarkably overcame a seven-shot deficit with seven holes to play to defeat Matt Gogel in the AT&T Pebble Beach National Pro-Am to claim his sixth consecutive PGA Tour victory. 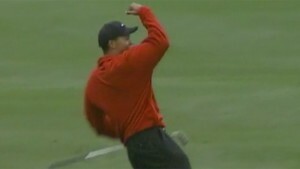 Tiger’s win at Pebble that year marked the 17th of his career. Since then, he has won an eye-popping 62 more times. The Pebble triumph was also the second of Tiger’s nine wins for the 2000 season, which also included the first three legs of the “Tiger Slam” — the U.S. Open (also played at Pebble Beach that year, a major Woods won by a record 15 strokes), Open Championship and PGA Championship. He would complete that slam with his win at the Masters in 2001.